Tomorrow it’s Halloween, and what better way to celebrate this spooky holiday than with a new book release? BAD LUCK is available for sale at Amazon!!! 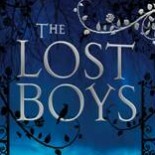 From popular Wattpad series and author of The Lost Boys trilogy with over 35 million reads online, comes a new story of a lovely red haired girl with a passion for animals, a stubborn black cat with a lot of attitude, a misterious boy full of secrets, charm and magic and an accident that puts them all together. Bad Luck sometimes can come in disguise for true love! This entry was posted on October 30, 2017 by liliancarmine in Book News and tagged blackcat, book, books, cat, fiction, literature, music, romance, supernatural, wattpad, YA, young adult.